James and the late Sarah Goodlad Bailey are pleased to announce the marriage of their daughter Mary Ann Bailey to William Sharp, son of Thomas and Elizabeth Cartwright Sharp. William and Mary Ann were married at Loup Fork, Howard, Nebraska on 10 July 1853. William is a farmer and mason and they will make their home wherever they are called to settle once they arrive in the Utah Territory. Due to the circumstances of this family, it is pretty unlikely an announcement would have been written. Everything about these families was in motion. Family members on both sides were strewn all over the world and their lives were still recovering from a number of personal blows. While this was probably a high point, they knew there was a long road still ahead of them. William was born the third of eight children born to Thomas and Elizabeth Cartwright Sharp 10 December 1825 in Misson, Nottinghamshire, England. He spent his life as a mason. We do not know where or how he learned it. His father, Thomas, is listed as an “Ag Lab”, which is probably an agricultural laborer on the 1841 English Census (he died that same year). In 1848, the LDS missionaries came to visit in Misson. 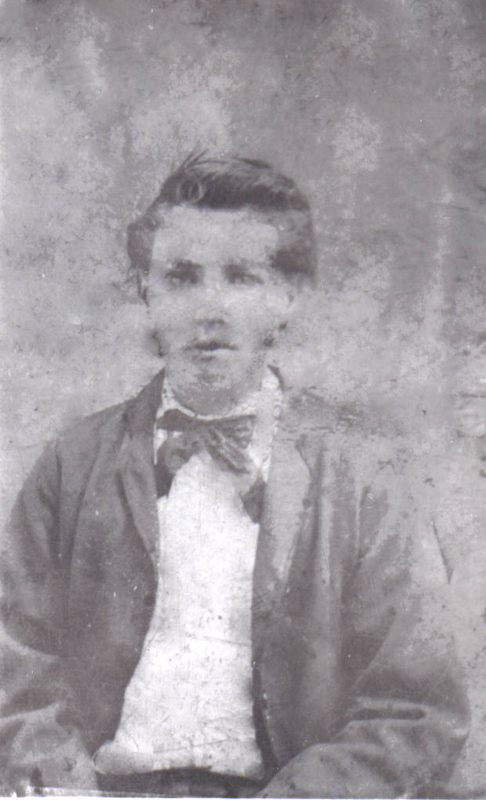 William was the first of his family that we know who joined the church on 20 June 1848. His mother followed 11 August 1849 and his sister Isabella 16 September 1849. The story tells the family was friendly and open towards the missionaries. One of the missionaries was supposedly George R Emery (?-?). Elizabeth Sharp was determined to emigrate with her family to Utah. Her family attempted to discourage her by warning her about the dangers of the American Indians. Nevertheless, she departed with William, Isabella, Elizabeth, and James. The other four children had died as infants. The family purchased tickets at 25 pounds sterling in Liverpool. The family set sail on the “James Pennell” on 2 October 1850 commanded by Captain James Fullerton. The LDS leaders on board were Christopher Layton (1821-1898) and William Lathrop Cutler (1821-1851) leading the company all the way to Zion. Right before hitting the waters of the Mississippi the ship encountered a storm where the masts were broken and the ship drifted for a couple of days. Luckily, a pilot boat found them and another ship (that left two weeks later from Liverpool) and tugged them to New Orleans, Louisiana. The ship arrived at dock on the 22 November 1850 in New Orleans. From there the entire group boarded the “Pontiac” and continued to St. Louis, Missouri where they found work and spent the winter. The family struggled with sea sickness and chills and fevers that beset them in New Orleans and St. Louis. Despite having crossed the Atlantic, Elizabeth, the mother of the family died 17 February 1851 in St. Louis (and buried in Bellefontaine Cemetery). This left the four siblings to fend for themselves. William and Isabella both still desired to move on with the Saints to Utah. William became fast friends with Mary Ann Bailey Padley, a widow who had lost her husband before leaving England. They were such good friends that Anne Elizabeth Padley (she went by Sharp her whole life though) was born 31 October 1852. Isabella married Joseph Carlisle, who had arrived two years earlier, on 18 May 1853 in St. Louis. That same day the Moses Clawson Company, “St. Louis Company,” departed from St. Louis. Joseph and Isabella Carlisle, along with William Sharp and Mary Padley (with her son Lorenzo Padley and new infant Anne), left with the company. Joseph and William were well respected because they apparently were very good athletes and challenged anyone to a wrestling match. The Sharps and Carlisles drove a wagon for William Jennings, a Salt Lake City merchant and freighter. The outfitting was done in Keokuk, Iowa. The company for traveling over the plains was formally organized in Kanesville, Iowa. 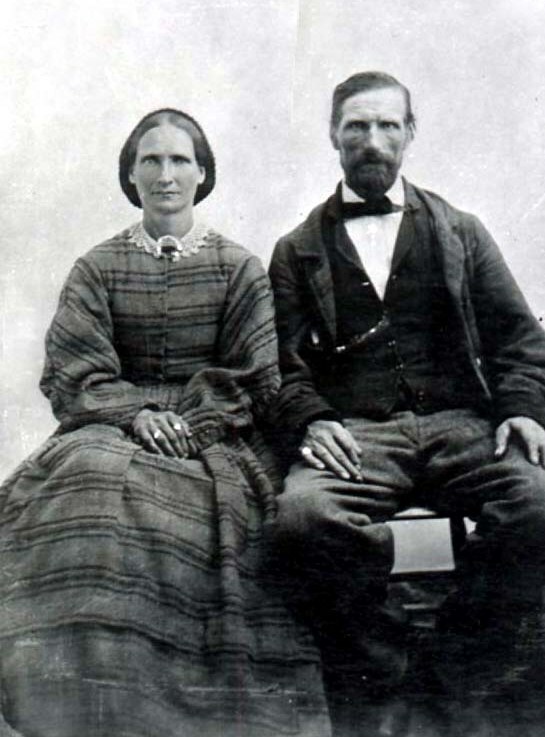 On the trail, William and Mary Ann Padley were married 10 July 1853 in Loup Fork, Nebraska. The company arrived in Salt Lake City between the 15th and 20th of September the same year. Mary Ann was born the first of seven children born to James and Sarah Goodlad Bailey 28 November 1828 in Mattersey, Nottinghamshire, England. James was a blacksmith and died somewhere in the 1860’s. The Bailey family were practicing members of the Church of England. Mary Ann attended school and obtained training in millinery and sewing. Sarah died in 1843 and James remarried to a lady named Harriet. Mary Ann met missionaries of The Church of Jesus Christ of Latter-day Saints and converted. She was baptized 20 October 1846. Her parents dismissed her from the home for becoming a Mormon. Shortly after, she met William Padley, another LDS member and a tailor, and married him 4 February 1847 in Sheffield, Yorkshire, England. They had a boy born to them in 1847 or 1848 named Lorenzo Joseph Padley. William was ill when Lorenzo was born and died 22 February 1850. Alone with a new son, she went back to her parents who would not have anything to do with her unless she gave up her religion. With that, she determined she would move to Zion. She sailed from Liverpool on 8 January 1851 on the “Ellen” with James Willard Cummings (1819-1883) as the leader of the company. The ship did have a pretty bad episode with measles and what others thought was whooping cough. She arrived in New Orleans 14 March 1851. On the 19th they left for St. Louis on the “Alleck Scott” and arrived on the 26th. Mary Ann and Lorenzo stayed in St. Louis while the company moved on. As mentioned above, she met William Sharp and his family while living in St. Louis. They settled in Lehi, Utah, Utah for a couple of years but had a number of issues with range for the cattle and some other minor squabbles. Water was also not found to be very dependable in the Lehi area. During this time, William and Mary Ann gave birth to two children, William and Isabella in 1854 and 1856, but both died as infants. Milo Riley was born 23 July 1857. I have written of Milo and his family previously at this link: Sharp-Stoker Wedding. William learned of land north near Ogden, Weber, Utah that was going to be opened up from some of the Saints passing through Lehi (abandoning Salt Lake City before the arrival of Johnson’s Army). These Lehi Saints were told of ample land and good water that was available west of Ogden. A scouting expedition went to search out the area in the fall of 1858 and visited with Lorin Farr (1820-1909) who told them of the available plain to the west. The Sharp family left with other Lehi Saints on 10 March 1859 to travel to this new area. The group of about 100 arrived 17 March 1859 at what is present day Plain City, Weber, Utah. The company arrived at about 5 PM during the middle of a snowstorm. The company lined up the wagons to protect them from the wind and dug a hole in the ground for the campfire. Reports indicate that snow was pretty deep and conditions pretty uncomfortable. Plain City apparently lived up to its name with some sagebrush that rose over 4 feet tall from the high water table beneath the soil. William Sharp put his carpentry and masonry skills to work making adobe brick and helping build the first homes in Plain City. William and Mary Ann lived in one of these homes. William served in the Plain City band, the Plain City Z.C.M.I. board, a builder, and a city leader. 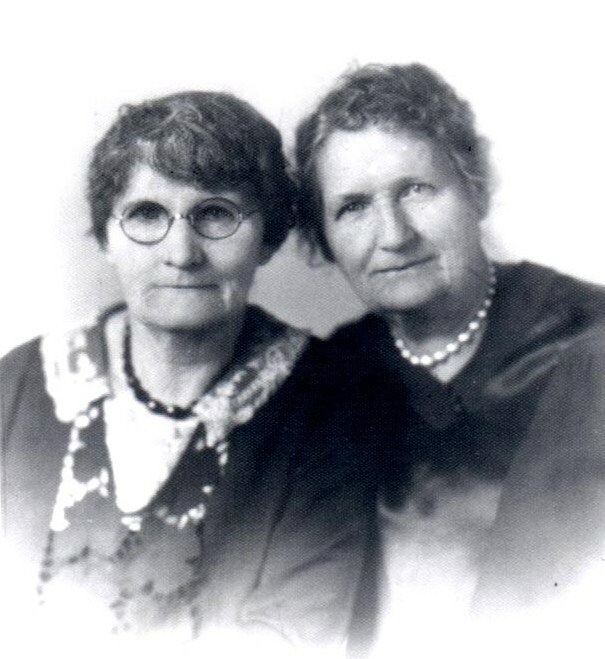 William and Mary Ann’s daughter, Evelyn, was the first girl born in Plain City in October 1859. Victorine Mary was born 8 April 1862 and ended the children William and Mary Ann would have. Mary Ann kept busy sewing and making suits, coats, and other required jobs. Each of her daughters learned to become dressmakers. Lorenzo Padley died 24 July 1866 in Plain City. The photo we have of him is pretty scratched, but here is a cleaned up photo, but it is not perfect. It is hard to tell what is his nose and what was deformities in the photo. Anne Elizabeth married Daniel Clayborne Thomas 29 January 1872 in Salt Lake City at the Endowment House. After six children she died in 1891 in Plain City. 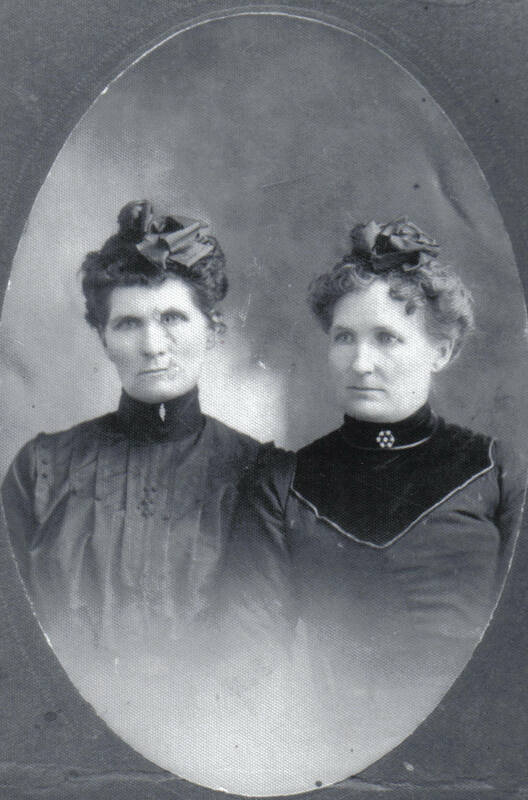 Mary Ann moved out on Christmas Eve 1875 and refused to come back to William. William sued for divorce and Franklin Dewey Richards (1821-1899) granted the divorce (in probate court!) on 19 May 1876. All was not well in Zion during these years in Plain City. Family lore has it that when a Bishop (Lewis Warren Shurtleff (1835-1922), branch president 1870-1877, bishop 1877-1883) extended himself beyond what the members felt was right, these families made sure it was known. The final straw came when Bishop Shurleff started telling the members what they would give as tithing. These were not just on the fringe members, but good standing members of the church in the area. William Sharp began construction on St. Paul’s Episcopal Church in 1877 for many of these disaffected members (Still standing today and owned by the Lions in Plain City). For whatever reason a significant group of members were excommunicated between 1877 and 1882. Many of Plain City’s leading members were excommunicated. Excommunicated 31 January 1879 were William Sharp (the same who built the new church), Mary Ann Sharp (listed separately because of the divorce), William Skeen, Edwin Dix, George Musgrave (father of their future daughter-in-law), Thomas Musgrave, Thomas Singleton, Thomas Davis, George W Harris, Jonathan Moyes, John Moyes, Winfield Spiers, James Wadman, Robert Davis, John Davis, and Thomas Robson. These lists also have “and wife” as well as “and family” which seems to indicate that this list may have included spouses and families. Many of these families returned to the church after time away, some individuals never did. Milo Riley married Mary Ann Stoker (aka Lillian or Lilly Musgrave) 11 May 1879 in Plain City in the little church William built. He died in 1916 in Plain City. Read about them here. This same year, William remarried to the widow of Charles McGary, Charlotte Elizabeth Earl, in 1879. We do not know exactly when or where. Evelyn Carlisle married James Henry Taylor 16 January 1880 in Plain City. She died in 1941 in Oregon. Victorine Mary married Robert Edward Maw 8 April 1883 in Plain City. She died in 1945 in Ogden. Mary Ann continued to work as a dressmaker until she could not do so any more due to age. She lived with her Granddaughter Elizabeth Taylor from before 1900 and even moved with her to Baker City, Baker, Oregon. Mary Ann moved back to Plain City not long after Beth married. William died at 950 Washington Ave in Ogden on 22 December 1900 at 75 years and was buried two days later in the Ogden cemetery. Mary Ann died 30 October 1913 in Plain City at 85 years and was buried there three days later.